Concerts will be held a Jay Pritzker Pavilion. The Millennium Park Music Series returns to Chicago this summer, a compilation of free concerts and special events curated by the city's Department of Cultural Affairs and Special Events. 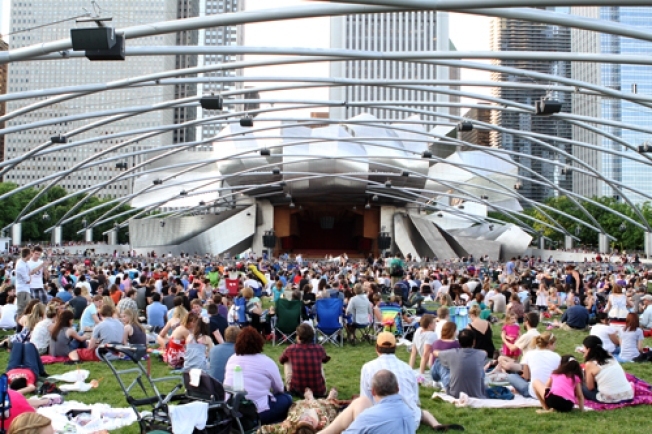 The series includes three ongoing events, all held at Jay Pritzker Pavilion: Downtown Sound (May 27 - July 29) -- Concerts featuring indie, rock and pop acts Monday evenings starting at 6:30 p.m.
Loops & Variations (June 13-27, July 4, July 11, July 18) -- Features new music mixed with electronica, gospel and jazz. First launched in 2012. Made in Chicago: World Class Jazz(July 25-August 29) -- Jazz music is featured six consecutive Thursday nights, culminating with the kickoff of the 35th Annual Chicago Jazz Festival on Aug. 29. Officials say more information on performers will be released in May and June.